Electronic Arts’ cartoon-style shooter Battlefield Heroes will be the company’s first free-to-download and play title. Developed by EA’s Dice studio, Battlefield Heroes will lead EA’s new web-focused free-to-download and play business model, which generates revenue through advertising and micro-transactions. “Online gaming garners a massive audience,” said Gerhard Florin, EA’s American and European executive VP of publishing. Featuring an in-built oline matchmaking system, Battlefield Heroes will be released for the PC as a free download in the summer of 2008. 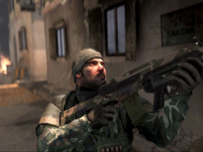 The next traditional Battlefield title from EA will be Battlefield: Bad Company (pictured), which is slated for a March 2008 release on PS3 and Xbox 360.